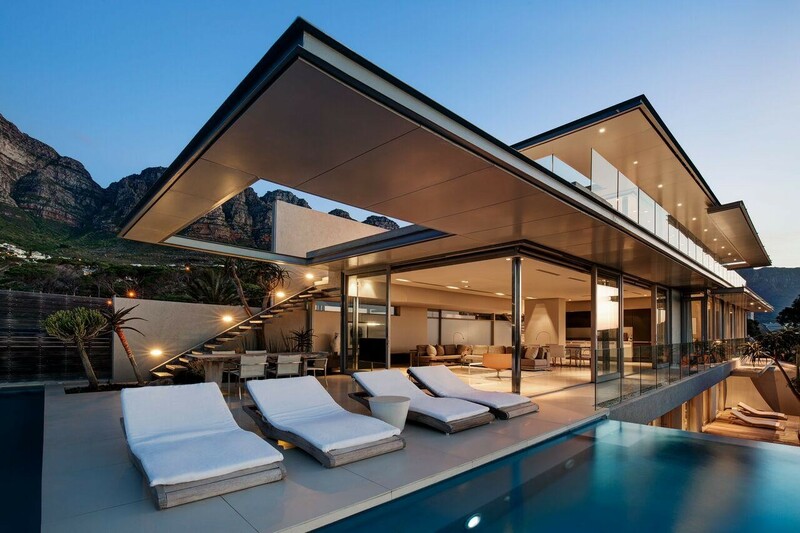 Sign up and receive Property Email Alerts of Villas to let in Camps Bay, Atlantic Seaboard. A haven for sophisticated seekers of pleasure, it is perfectly suited to those who draw inspiration from the beauty of nature. The unique design lends itself to uninterrupted sea and mountain views. Glimpse down, and survey the palm-fringed Camps Bay strip. Glance in a northerly direction and you'll spot Lions Head. The rear staircase will treat you to views of the cable station on Table Mountain. The villa not only meets the highest standards in aesthetic design, but also features cutting-edge technology and all the mod cons you'd expect. From the security system and Samsung LCD TV's in every room to Apple TV, iMacs, high speed Wi-Fi and Sonos. Conveniently located close to the city and the sights of Cape Town, you'll be spoilt for choice when it comes to stunning beaches, vibrant bars, trendy sidewalk cafes and renowned restaurants. Sign-up and receive Property Email Alerts of Villas to let in Camps Bay, Atlantic Seaboard.